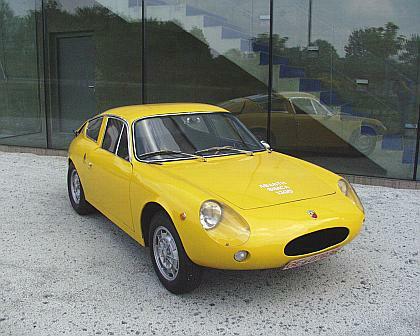 The ABARTH SIMCA 1300 was constructed in 1961 by Ing. Colucci for ABARTH & C., the body was built by Carozzeria Beccaris This marvellous GT-car based upon a shortened chassis of the Simca 1000. 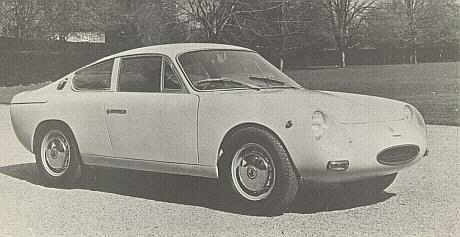 The ABARTH-SIMCA 1300 was wider, longer, but lower than the Bialbero with a similar body, based upon the chassis of the Fiat 600. In my eyes the ABARTH SIMCA1300 has the more pleasant form. with single or double ignition, gearbox 4 or 6 gears and a maximum speed of 230 Km/h – 250 km/h. The exact technical specifications can be found in the literatur. To get the homologation there should be sold 100 cars of the serie I, II und III. There are people maintaining, that there were only sold 50 of them. Threre is no doubt concerning the whereabouts of ca. 20 carosseries with duck-tail. They went to Radbourne in England, got a Fiat technique and were sold in 1968 -1970. In 1963 the ABARTH SIMCA 1300 was at its top. The car won 90 races all over the world and ABARTH & C. won the world championship with its factory racers in 1964 and 1965. 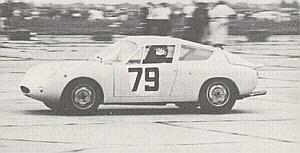 This success was prepared by testing the ABARTH SIMCA 1300, serie I, in 1962 during several races. The car was not yet homologated and has to start in the class of prototypes in the year 1962 and early 1963. In 1963 the dominance of the Alfa`s had finally come to an end. Since than the ABARTH-SIMCA 1300 was the leading car all over the world. One of the factory-race cars, chassis number 130S/0067, built in 1962, was street-registered on the 28. May 1963 in Torino on the name of Carlo Abarth. Registration number was TO 539675. The FIA homologation followed on the 4. june 1963. The car is supposed to have taken part in the 24 h of Le Mans in 1962 for the Equipe National Belge. 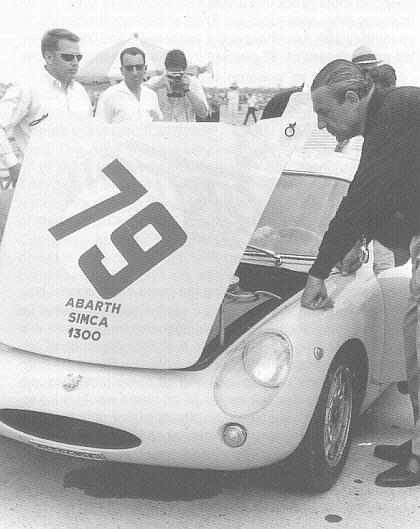 Carlo Abarth himself controlled personally this car, coming into operation for ABARTH & C. in 1963 as a preparation for the successful season 1964 and 1965. The stunning thing of this car was its prototype rear duck spoiler designed by Ing. Colucci. 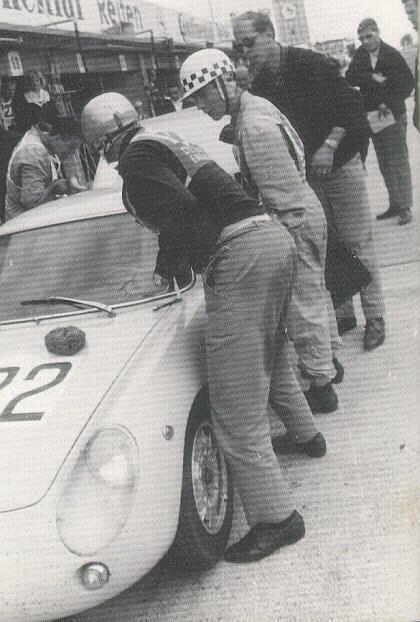 There are several fotos from 1963, showing Carlo Abarth and his engegament for this special race-car. 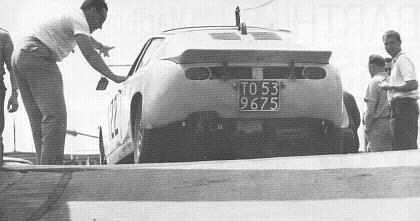 After being homologated, the spoiler was built back. TO 539675 belonged to the factory-race-team and made its contribution to winning the world championship 1964 and 1965. 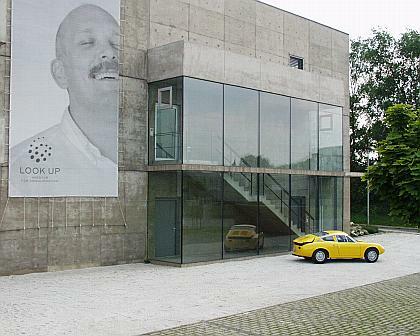 Years later the car was offered by a collector from Italy and so came to Germany. Even the original Italian papers and number plates could be saved, which proove Carlo Abarth to be the only owner in Italy.